As part of the larger MultiCare Urgent Care Centers, this clinic has affiliates with the closest other clinic being in Seattle about 7.7 miles away and is open today from 9:00am to 8:00pm. 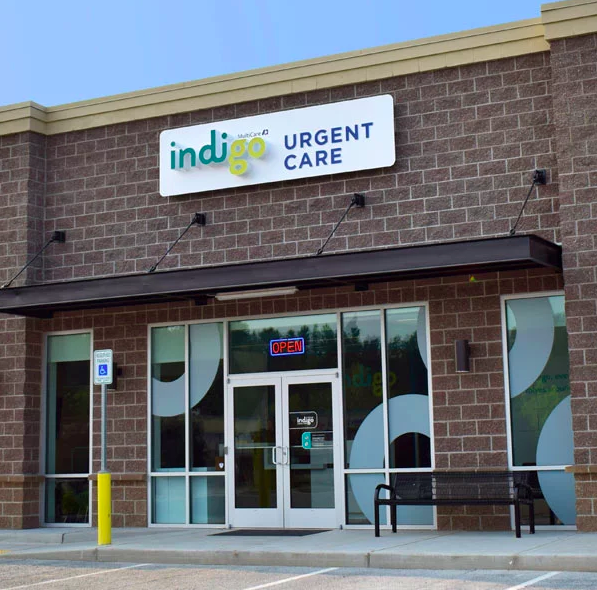 Recognized favorably amongst their patients, MultiCare Indigo Urgent Care, Kirkland (Indigo) has an average rating of 4.8 stars out of 5 based on 329 total ratings. MultiCare Indigo Urgent Care accepts many major insurance plans and multiple forms of payment, making it easier to get the affordable care you need. It is always a good idea to contact your insurance company before your visit to ensure the Clinicis in network for the service(s) you're seeking. Quick and easy, nice and friendly! I love this place because of the great quality of care. The entire staff are wonderful professionals, very kind and friendly. The best urgent care! Staff was very friendly and caring. They were very focused on my concerns and addressed everything. I left feeling well taken care of! I have come here twice because I could get in to see a doctor fast. Everyone is always very friendly and their bedside manner and quality of care have been excellent. Doc was fantastic, answered all my questions, super nice. Very friendly, empathetic, and clean and professional. Staff was great with their thoroughness and understandings of my previous conditions. Great staff! They gave me all the info I needed and had me in and out quickly! Will definitely come here again! Fast easy convenient friendly people ! A terrific experience! From the moment entering the clinic all the way through talking with the Provider, the experience was very professional and friendly. Great aides, the doctor was extremely thorough and helpful with answering questions. Nice and quick. Overall a great experience. Very smooth process, with professional staff that made me feel relaxed. Wonderful. Staff was both personable and professional. The best urgent care I have been to! Great service! Ryan was awesome, he was very professional. He made sure I was comfortable at all times during the procedure. Overall I had a very good experience, very friendly staff. Thank you Dr. Bhatti and staff! Everyone was super friendly, the process was very quick and all my questions were answered thouroughly which made me feel at ease!